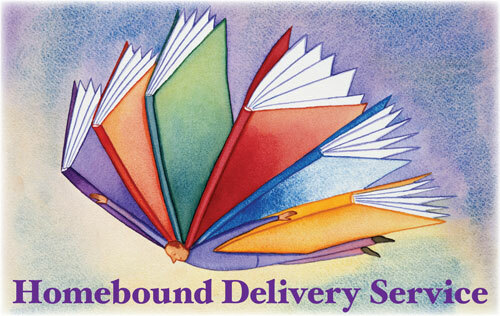 The Schroon Lake Public Library’s Home Delivery service provides library materials to Schroon Lake and North Hudson residents who are unable to visit the library due to temporary or long-term physical illness or disability. Interested parties must have/get a Schroon Lake Public Library card. All circulation policies apply. Materials available for delivery include all Schroon Lake Public Library materials with the exception of “New” items. You may request specific titles or books by your favorite authors, subject to availability. Materials will be selected for you based on the reading interests you indicate to the librarian. By participating in the program, you agree that the library will keep track of the titles we have checked out for you previously. However, you may receive titles you have already read. This is a free service provided by library staff and volunteers. Deliveries are generally made every other week. At the same time, volunteers or library staff will collect materials from your last delivery to return to the library. You may call Schroon Lake Public Library at 532-7737 ext. 13. Yes, Home Delivery requires many volunteers to help with book selection, and delivery. Please call the library at 518-532-7737, ext. 13 if you are interested in helping with this service.